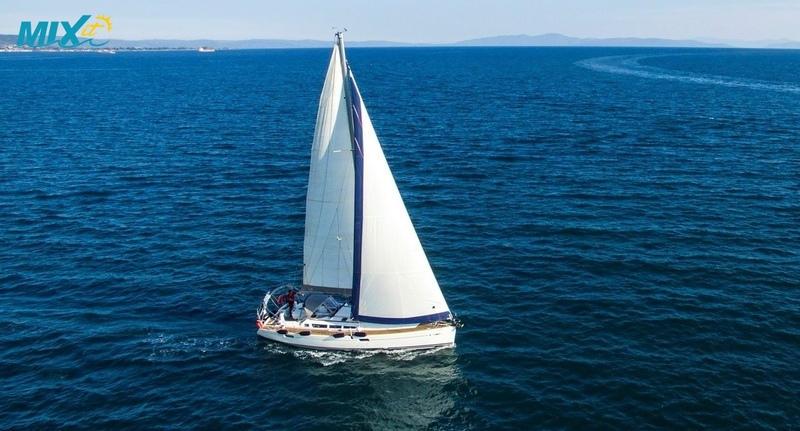 The Sun Odyssey 44i is a comfortable, performance-oriented coastal cruiser with teak deck and cockpit area. 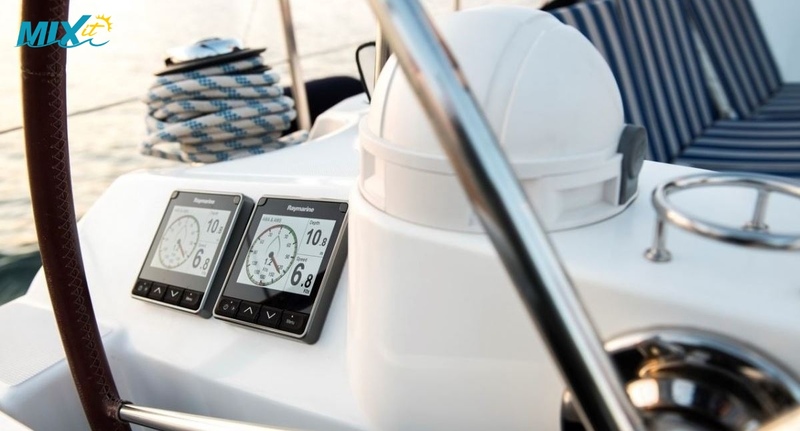 The full-batten main (lazybag) provides power and speed and with the wide, twin-helm cockpit area you have plenty of space while underway. 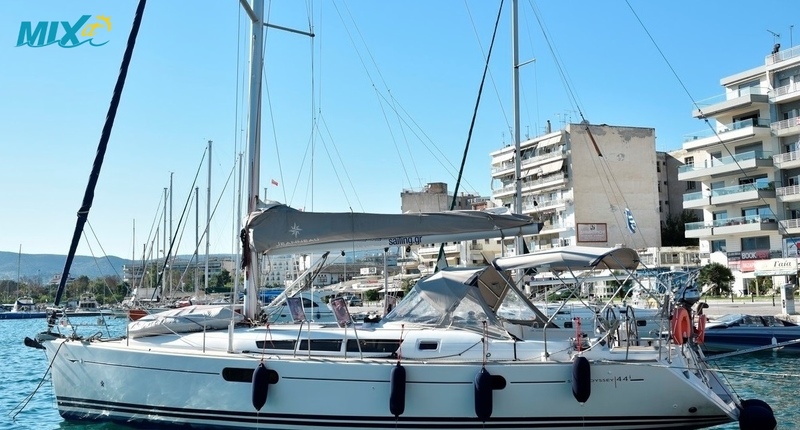 This is a well equipped and manageable yacht that provides comfortable and spacious accommodation for 8 in 4 double cabins and 2 in the saloon if required. 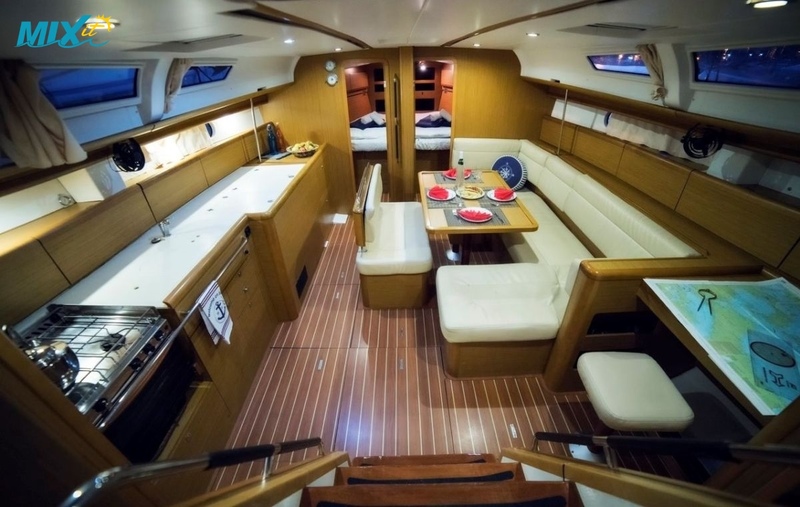 The Saloon area is spacious and bright with 5 deck skylights and long side windows providing ample light to highlight the new teak interior. 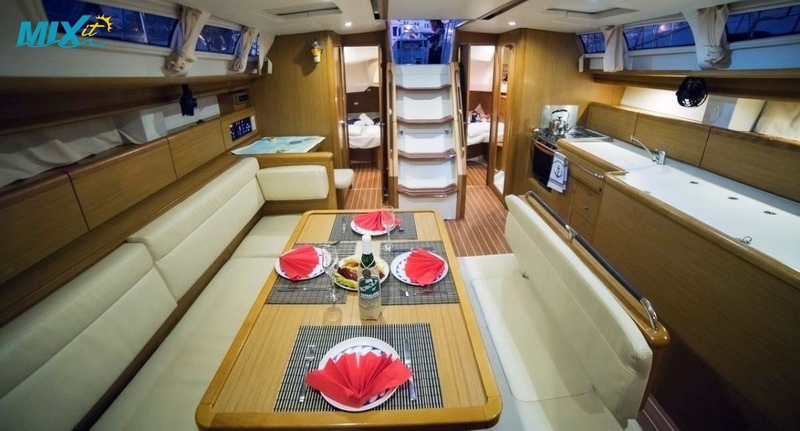 It has a large Galley area plus top loading large 'Chest' fridge and freezer and a well equipped/functional navigation station. 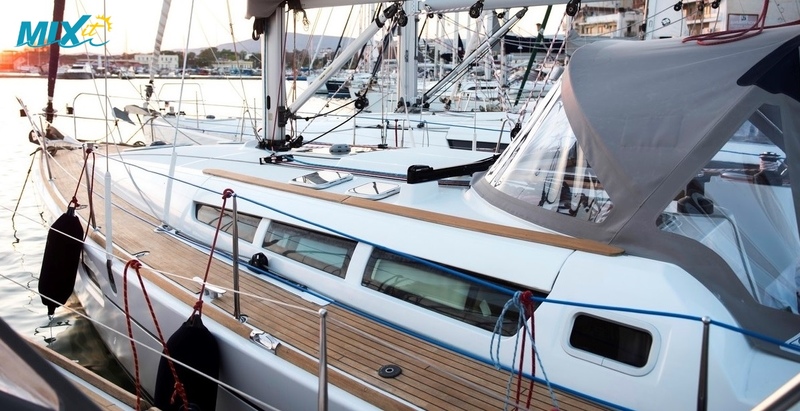 The 2 large double aft cabins provide plenty of space and storeage and are close to the rear bathrooms, the 2 double bow cabins can be converted into 1 large cabin if required. Additional accommodation can be provided in the Saloon if required. The deck layout of the 44i is user-friendly. Stepping aboard across the swim platform, there's built-in storage life raft. A drop-leaf, cockpit table folds up for entertaining or down to leave lots of room to pass by, and also provides a solid brace while heeling. 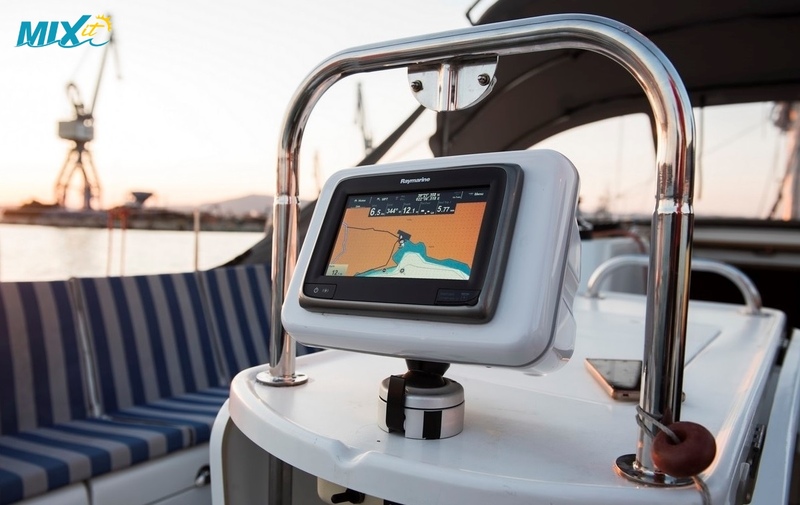 The cockpit area is well laid out for easy sail management and a large bimini top and spray hood provides good cockpit cover. On the stern you have bathing platform, swimming ladder and deck shower.